I am a clinician-scientist practising in the field of paediatric haematology and oncology. My research interest in Epstein-Barr virus (EBV) biology dated back to my PhD studies at the Department of Pathology of The University of Hong Kong where I was delineating the pathogenic role of EBV in an intriguing EBV-associated malignancy affecting the Chinese population, nasal NK/T cell lymphoma (NL). My work on defining the tumour cell characteristics at the DNA, RNA and protein level and the uniform presence of EBV in the tumour cells had contributed to the WHO classification of this malignancy as a distinct clinicopathologic entity and the prototypic NK cell lymphoma. Studies on EBV gene expression and immune evasion of this tumour revealed that EBV latent genes are downregulated into a latency II pattern and the HLA class I pathway is largely maintained in NL but tumour resistance to cytotoxic T cells might be partly mediated by expression of immunomodulatory cytokines such as interleukin 10 in the tumour microenvironment. The research work was extended to the analysis of EBV carriage in normal healthy individuals, which revealed that coinfection of multiple strains of EBV was unexpectedly prevalent whilst particular viral strains characterized by a 30-bp deletion in the LMP gene might be preferentially selected in NL. The Chiang lab focuses on the understanding of host-virus interactions in primary and persistent EBV infection and on the elucidation of pathogenic mechanisms of EBV in lymphoid and epithelial cancers. Research programs include: (i) Role of adaptive and innate immune responses in the control of EBV: longitudinal study of viral loads, humoral and CD8+ T cell responses in primary EBV infection in Chinese children and development of novel assays in polychromatic flow cytometry to dissect such immune responses; (ii) Sequence analysis of EBV strains in EBV infection subjects and EBV-positive malignancies: development of novel assays in characterizing EBV strains to study distribution and inter-change of EBV strains among different body compartments and to discover pathogenic viral strains in malignancies; (iii) Novel therapeutic strategies for EBV-positive lymphoid and epithelial cancers: discovering action of different compounds in inducing lytic cycle of EBV in cancer cells and dissecting mechanistic pathways of viral lytic induction. Chiang ASK, Huang Shuang, Chung HY, Cheuk DKL, Ha SY, Chan GCF: Epidemiology and outcome of post-transplant iymphproliferative disorder in pediatric liver transplant recipients. Fifth International Symposium on Childhood, Adolescent and Young Adult Non-Hodgkin Lymphoma, Varese, Oct 22-24, 2015 (post presentation). Pillon M, Carraro E, Osumi T, Fedorova A, Lavoine N, Barzilai-Birenboim S, Csoka M, Loeffen J, Chiang AKS, Jazbec J, Kabickova E, Bubanska E, Uyttebreck A, Wrobel G, O Abla, Krenova Z, Lazic J, Burkhardt B, Attarbaschi A: Characteristics and outcome of children and adolescents with constitutional conditions suffering from Non-Hodgkin’s Iymphoma. Fifth International Symposium on Childhood, Adolescent and Young Adult Non-Hodgkin Lymphoma, Varese, Oct 22-24, 2015 (post presentation). Mellgren K, Chiang AKS, Abla O, Alexander A, Plat G, Myakova N, Meyer-Wentrup F, Kobayashi R, Pillon M, Bubanska E, Kabickova E, Krenova Z, Fedorova A, Wrobel G, Klapper W, Klapper D, Williams D, Attarbaschi A, Kontny U: Non-anaplastic peripheral T-cell lymphoma in children and adolescents - International review. Fifth International Symposium on Childhood, Adolescent and Young Adult Non-Hodgkin Lymphoma, Varese, Oct 22-24, 2015 (oral presentation). Chiang AKS, Yeung PL, Hui KF: Targeting EBV in EBV-associated malignancies. Keystone Symposia Conference - Viruses and Human Cancer, Montana, USA, Mar 29-Apr 3, 2015, (poster and oral presentation). Yeung PL, Hui KF, Leung YY, Chiang AKS: Combination of HDAC and proteasome inhibitors up-regulates p16INK4A and p21WAF1 and induces apoptosis of EBV-transformed lymphoblastoid cell lines. 16th International Symposium on EBV and Associated Diseases, Brisbane, Australia, Jul 16-19, 2014 (poster presentation). Wong AMG, Ning RJ, Chan KH, Chiang AKS: Longitudinal study of viral loads and polyfunctional T cell responses towards Epstein-Barr virus in paediatric liver transplant recipients who developed post-transplant lymphoproliferative disorder. 16th International Symposium on EBV and Associated Diseases, Brisbane, Australia, Jul 16-19, 2014 (poster presentation). Choi CK, HO DN, Hui KF, Kao RYT, Chiang AKS: Identification of novel small organic compounds for induction of Epstein-Barr virus (EBV) lytic cycle in EBV-positive epithelial malignancies. 16th International Symposium on EBV and Associated Diseases, Brisbane, Australia, Jul 16-19, 2014 (poster presentation). Chiang AKS, Ning RJ, Chan KH: Emergence of highly functional antigen-specific T cells towards Epstein-Barr virus corresponds to viral control and enhanced cytotoxicity in children with infectous mononucleosis and primary asymptomatic infection. 16th International Symposium on EBV and Associated Diseases, Brisbane, Australia, Jul 16-19, 2014 (poster presentation). Chiang AKS, Kwok H, Wu CW, Palser AL, Kellam P, Sham PC, Kwong DLW: Genomic diversity of Epstein-Barr virus genomes isolated from primary nasopharyngeal carcinoma biopsies. 16th International Symposium on EBV and Associated Diseases, Brisbane, Australia, Jul 16-19, 2014 (oral presentation). Hui KF, Choi Ck, Yeung PL, Middeldorp JM, Tsao GSW, Chiang AKS: Inhibition of class I histone deacetylases (HDACs) by HDAC inhibitiors leads to the induction of Epstein-Barr virus (EBV) lytic cycle in EBV-positive epithelial malignancies. 16th International Symposium on EBV and Associated Diseases, Brisbane, Australia, Jul 16-19, 2014 (oral presentation). Chiang AKS, Hui KF: Proteasome inhibitor synergizes with histone deacetylase inhibitor to trigger ROS- and ER stress-induced apoptosis of nasopharyngeal carcinoma independent of aggresome disruption, AACR Annual Meeting 2014, San Diego, USA, Arp 5-9, 2014 (poster presentation). Hui KF, Leung YY, Yeung PL, Chiang AKS: Combination of Suberoylanilide Hydroxamic Acid and Brotezomib Synergistically Induces Apoptosis of EBV-Positive Burkitt Lymphoma Cells of Wp-Restricted or Type III Latency. EBV 50th Anniversary, Oxford, UK, Mar 23-25, 2014 (poster presentation). Chan GCF, Shing MK, Luk CW, Li RCH, Ling SC, Cheuk DKL, Lee VSW, Yuen HL, Lee ACW, Li CK, Chiang AKS: Brain tumors of children <18-month-old: A population based study. 45th Congress of the International Society of Paediatric Oncology, Hong Kong, Sep 25-28, 2013 (poster presentation). Chan GCF, Shing MK, Luk CW, Li RCH, Ling SC, Cheuk DKL, Lee VWS, Yuen HL, Lee ACW, Li CK, Chiang AKS: Uncommon types of brain tumors among Chinese children. 45th Congress of the International Society of Paediatric Oncology, Hong Kong, Sep 25-28, 2013 (poster presentation). Chiu SY, Chan HY, Shum SK, Cheuk DKL, Chiang AKS, Ha SY, Chan GCF: Treatment of children with drug-resistant graft-versus-host-disease by extracorporeal photopheresis. 45th Congress of the International Society of Paediatric Oncology, Hong Kong, Sep 25-28, 2013 (poster presentation). Hung CY, Chiu SY, Shum SK, Chan HY, Cheuk DKL, Chiang AKS, Ha SY, Chan GCF: Surveillance on central venous catheter complications in paediatric haematology oncology unit. 45th Congress of the International Society of Paediatric Oncology, Hong Kong, Sep 25-28, 2013 (poster presentation). Lee V, Luk CW, Cheuk DKL, Li CH, Ling SC, Leung AWK, Yuen HL, Chiang AKS, Shing MMK: Long term treatment outcome of conventional high grade osteosarcoma in Hong Kong children and adolescents – from the Hong Kong paediatric haematology and oncology study group. 45th Congress of the International Society of Paediatric Oncology, Hong Kong, Sep 25-28, 2013 (poster presentation). Yu JL, Khong PL, Chiang AKS, Cheuk DKL, Ha SY, Chan GCF: Cystic-like liver tumours in children: two diseases with similar appearance but required different treatment approach. 45th Congress of the International Society of Paediatric Oncology, Hong Kong, Sep 25-28, 2013 (poster presentation). Chiang AKS, Lee V, Yuen H, Li C, Ling S, Cheuk DKL, Lee AC: Results of a uniform treatment protocol based on the FAB/LMB96 study for B cell non-hodgkin lymphoma in children and adolescents of Hong Kong. 45th Congress of the International Society of Paediatric Oncology, Hong Kong, Sep 25-28, 2013 (poster presentation). Chiang AKS, Lee V, Yuen H, Li C, Ling S, Cheuk DKL, Lee AC: Results of a uniform treatment protocol based on the ALCL99 study for anaplastic large cell lymphoma in children and adolescents of Hong Kong. 45th Congress of the International Society of Paediatric Oncology, Hong Kong, Sep 25-28, 2013 (poster presentation). Chiang AKS, Cheuk DKL, Ha SY, Chan GCF: Treatment outcome of post-transplant lymphoproliferative disorder in paediatric liver transplant recipients using rituximab-based regimen. 45th Congress of the International Society of Paediatric Oncology, Hong Kong, Sep 25-28, 2013 (poster presentation). Chiang AKS, Ling S, Li C, Yuen H, Li C, Cheuk DKL, Li C: Population-based treatment results of hepatoblastoma in children of Hong Kong. 45th Congress of the International Society of Paediatric Oncology, Hong Kong, Sep 25-28, 2013 (poster presentation). Attarbaschi A, Beishuizen A, Mann G, Rosolen A, Mori T, Uyttebroeck A, Niggli F, Csoka M, Krenova Z, Mellgren K, Kabickova E, Chiang AKS, Reiter A, Williams D, Burkhardt B: Children and adolescents with follicular lymphoma have an excellent prognosis with either limited chemotherapy or with a “watch and wait” strategy after complete resection. 45th Congress of the International Society of Paediatric Oncology, Hong Kong, Sep 25-28, 2013 (poster presentation). 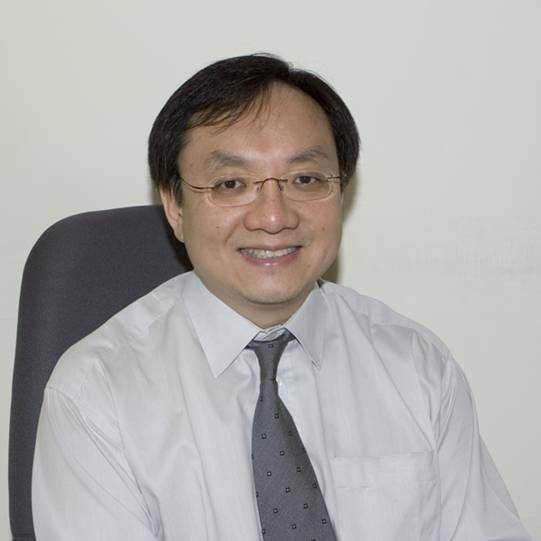 Cheuk DKL, Chiang AKS, Ha SY, Chan GCF: Improving outcomes of hematopoietic stem cell transplant for pediatric acute lymphoblastic leukemia in Hong Kong. 45th Congress of the International Society of Paediatric Oncology, Hong Kong, Sep 25-28, 2013 (poster presentation). Cheuk DKL, Chiang AKS, Ha SY, Chan GCF: Favorable outcomes of unrelated cord blood transplant for pediatric acute myeloid leukemia in Hong Kong. 45th Congress of the International Society of Paediatric Oncology, Hong Kong, Sep 25-28, 2013 (poster presentation). Yuen ANY, Ho SMY, Chan CKY, Chiang AKS, Lee V, Yuen HL, Ling SC: The relationship between hope, rumination response styles, rumination content and psychological adjustment among childhood cancer patients and survivors. 45th Congress of the International Society of Paediatric Oncology, Hong Kong, Sep 25-28, 2013 (poster presentation). Xiong H, Ha SY, Chiang AKS, Cheuk DKL, Li H, Chan GCF: Outcome of hematopoietic stem cell transplantation in refractory / relapsed infant leukemia. 45th Congress of the International Society of Paediatric Oncology, Hong Kong, Sep 25-28, 2013 (poster presentation). Chiang AKS, Godzinski J: Free Paper Session 24 – Renal and Sarcomas III. 45th Congress of the International Society of Paediatric Oncology, Hong Kong, Sep 25-28, 2013 (chair session).